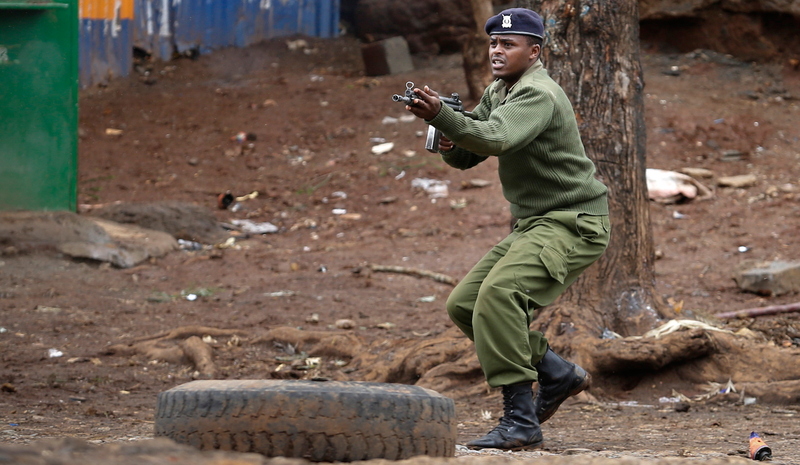 Amid the turmoil of repeat elections, the country is on high alert for al-Shabaab terror attacks. By Irene Ndung'u for ISS TODAY. The current political climate in Kenya has created a complex security challenge for government, stretching the resources of security agencies to the limit as they battle both internal and external threats. Today Kenyans go to the polls in a repeat presidential election after the 8 August polls were overturned by the Supreme Court. The country’s opposition leader Raila Odinga yesterday announced the morphing of his National Super Alliance political coalition into a resistance movement. He denounced President Uhuru Kenyatta and his deputy and security heads. Odinga urged his supporters to boycott today’s polls – describing them as a sham. Amid Kenya’s political turmoil, the country remains on high alert in anticipation of potential al-Shabaab terror attacks. Even before the recent attack in Somalia that left over 350 dead – which Somali and Kenyan authorities suspect was carried out by al-Shabaab – Kenya had been in a heightened state of vigilance. Before and since the 8 August elections, al-Shabaab has stepped up its messaging regarding the Kenyan election, promising retribution for Kenya’s incursion into Somalia and calling for the withdrawal of its troops. Government officials believe al-Shabaab wants to portray the state as impotent in securing the election process. Terror attacks and the resultant disruptions could ignite a backlash against the government and spark calls for the country’s troops to withdraw from Somalia. Al-Shabaab has also accused the government of using security forces to attack the opposition. Odinga, under whose watch as prime minister Kenyan troops were deployed in Somalia, has since rallied for the withdrawal of the approximately 3,664-strong Kenyan contingent. Over 100 attacks have been launched against Kenya by al-Shabaab since Kenya’s military entered neighbouring Somalia in October 2011. Kenya’s goal was to prevent the spillover of Somalia’s conflict into Kenya, but the immediate trigger of the offensive was a spate of kidnappings of aid workers and tourists near its borders with Somalia. Since al-Shabaab announced its intention to disrupt the presidential elections, Kenya has seen attacks in Mandera and Lamu. Lamu county borders Somalia along the Boni forest, and the recent attacks threaten the creation of effective buffer zones along the country’s borders. Motorists have been warned against travelling without police escorts, and additional police and reservists deployed to protect villages and voters in both counties from the terror group. The ramifications of these security and political challenges are concerning. The education sector has become one of the major casualties. Some schools in Lamu have been forced to close with parents reporting that their children have missed classes for the past two years due the insecurity in the area. Today’s election and possible related security disruptions threaten to further interfere with education as students begin writing exams. Apart from the al-Shabaab threat, the ongoing protests against today’s elections have at times degenerated into violence, leading to death and injury. This has presented security agencies with another challenge, especially the police, as they struggle to maintain law and order. The crackdown on demonstrators has elicited a public outcry, with allegations of police brutality and human rights violations. There are also fears of a repeat of the post-election violence that occurred after the disputed 2007 elections. Partisan politics together with the climate of insecurity has seen cases of crimes against humanity being filed with the International Criminal Court (ICC). The petitioners say they have “strong grounds to assert that Raila Amolo Odinga, Stephen Kalonzo Musyoka and their cohorts in NASA (the National Super Alliance) are planning to plunge Kenya into violence in pursuit of political power”. The security and political uncertainties have dented the economic outlook of the country, with investors growing increasingly wary. The US and UK have issued travel advisories against Kenya which has negatively affected the hospitality, travel and tourism industries. Security authorities say today’s elections will go as planned, warning of dire consequences to any entity threatening a peaceful poll. An additional 31 000 personnel from Kenya’s Wildlife, Prisons, Forest and National Youth services have been added to the National Police Service to bolster its current capacity of about 100,000 officers in managing the elections.